Sarah Palin’s emails are telling us something about remedial writing classes at our universities and colleges, and it’s not what you think. 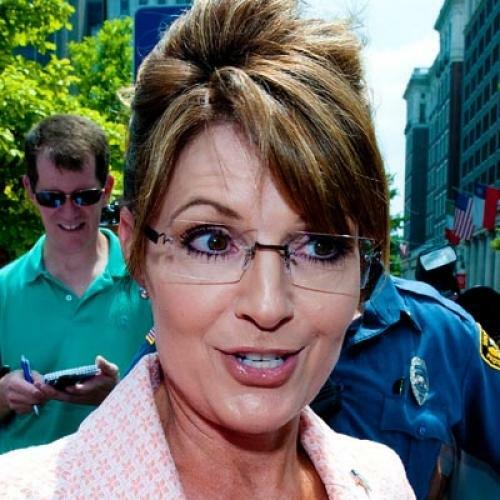 Call her defensive or parochial based on the cache of her spontaneous writings while serving as governor of Alaska, but something easy to miss is that Palin, in contrast to her meandering, involuted speaking style, is a thoroughly competent writer—more so than a great many people most of us likely know, including college graduates. Reading was a special bond between my mother and me. Mom read aloud to me – poetry by Ogden Nash and the Alaska poet Robert Service, along with snippets of prose …. My siblings were better athletes, cuter and more sociable than I, and the only thing they had to envy about me was the special passion for reading that I shared with our mother. That’s right, Sarah “you betcha” Palin was, of all things, a bookworm, excited to learn to spell “different” and winning a poetry contest for a poem about Betsy Ross. And as such, it is predictable that her emails would evidence such casually solid command of the language—even if her oral rendition of it is a different matter entirely. Once we understand that, it leads to some serious questions, as posed by books getting buzz at present such as Richard Arum and Josipa Roksa’s Academically Adrift and In the Basement of the Ivory Tower by the anonymous “Professor X.” How sensible is our assigning millions of freshmen each year to classes intended to teach them a skill so deeply rooted in unconscious facilitation at an early age? The spelling is flawless—and unlikely to be completely a product of spell-check, which misses errors and often creates others. More to the point, she has an embedded clause (“locking up tax rates”) nested into a main one, with another clause “as Glenn suggests” nested within the embedded one. That’s good old-fashioned grammar school “syntax.” I have known plenty of people with B.A.s who could barely pull it off properly at gunpoint, and several others who would only bother to at gunpoint. Equally graceful despite its mundane content: “Cowdery telling a kid what’s acceptable and what isn’t inside these four walls??? Puleeeze. A three-pound puppy vs. all the CBC crap that he helped dump around here?” You hear an actual human voice here. We tell some people “I can hear your voice in the way you write”—because it’s unusual for people to be able to “write” themselves. Palin is one of the people who can. And yet, the oratorical Palin is the swivel-tongue we all know—which means that Palin demonstrates with almost scientific precision that writing well stems not from general linguistic ability, but the specific activity of reading early. Thus, if our ideal is that all American adults write with ease, grace, and natural expression, then Palin is a handy demonstration that it would be more effective to make all tots avid readers than for legions of teenagers to sit in remedial writing classes long after their brain wiring and avocational predilections have jelled. The anonymous “Professor X” certainly thinks so: “The two most crucial ingredients in the mysterious mix that makes a good writer may be (1) having read enough throughout a lifetime to have internalized the rhythms of the written word, and (2) refining the ability to mimic those rhythms.” The problem, of course, is that human variation in makeup and experience is too heterogenous for all children to ever be readers. Yet the view from remedial writing classes is not sunny. Professor X, for example, has taken flak for statements like the aforementioned, but how many of us can recount one 18-year-old whose writing was shot through with run-ons, fragments, off spellings, and no sense of what a paragraph is, who, after a nice remedial writing class, came out writing even as well as Sarah Palin! Or if one, how about two? A few years ago, when I was grading papers for a graduate literature course, I became alarmed at the inability of my students to write a clean English sentence. They could manage for about six words and then, almost invariably, the syntax (and everything else) fell apart. I became even more alarmed when I remembered that these same students were instructors in the college’s composition program. In the piranha attack from composition teachers in the comments section, there was evidence that we may have less of a problem than we suppose, but in a sense different than the commenters would have assumed. The main objection was that students do, presumably, learn to “think” in such classes. However, the minimal focus on actual skills in constructing sentences was indicative. One sensed little interest, really, in whether students learned to compose text properly. And this isn’t surprising. Note the near universal approval with which the SAT eliminated word analogies. A major spark for that decision was a speech in 2001 by then-University of California president Richard Atkinson, which garnered widespread accolades for its argument that imposing lists of vocabulary on teenagers was a backwards, useless affair. To agree with Atkinson and yet claim a sincere interest in the same students learning how to write well just a year later is senseless. Wouldn’t learning the meanings of words like provocative, consummate, interminable, facile, and prolific be directly useful to the skills that the writing classes are supposed to inculcate? In the grand scheme of things, those tacitly uninterested in whether all students can compose articulate text and more interested in students being able to “think” are on to something they don’t realize. Namely, while functional writing should be instilled in all, writing of a grace and deftness beyond that level is but one of a great many ways one can be of value to society. If we want more graceful writers, let’s encourage more avid and precocious reading where we can, but, please, less of the painful remedial writing courses foisted upon those for whom it appears to do little good. These are the kinds of things that Sarah Palin’s emails might make us think about. Verdicts will differ, but nota bene: We must be wary of resorting to the objection that critical thought is impossible without avid, effortless fluency with the written word. That claim has no empirical justification—and, moreover, subjects most human beings on earth, including many we know, to grievous insult and underestimation.